Hitoshi Sakimoto probably does not need any introduction. He has composed for many great JRPGs in the past couple decades and I am here to highlight some of them. Just like Nobuo Uematsu and Miki Higashino (who worked on Suikoden and Suikoden 2), Hitoshi Sakimoto is one of my favorite game music composers from when I was a teenager. I am a huge fan of Final Fantasy Tactics since the PlayStation 1 days and I love the music. Some years later, I finally found and purchased the game soundtrack at a store. That OST was my very first game music collection, it started my appreciation towards the genre. Sakimoto Hitoshi (崎元 仁) has been composing for video games since his youth. Sakimoto was actively coding, creating, as well as composing music for video games in his teenage years. His biggest professional break was when he composed for a game called Revolter. At that time, he had been working with his long-time colleague, Masaharu Iwata. However, his goal at the time was to be a game programmer instead of a composer. Fortunately, at least for me, he stuck with creating epic and grand scores for many Japanese video games. Sakimoto is known to be an autodidact who learns as he works. He has no formal music training, though he practices and experiments regularly. 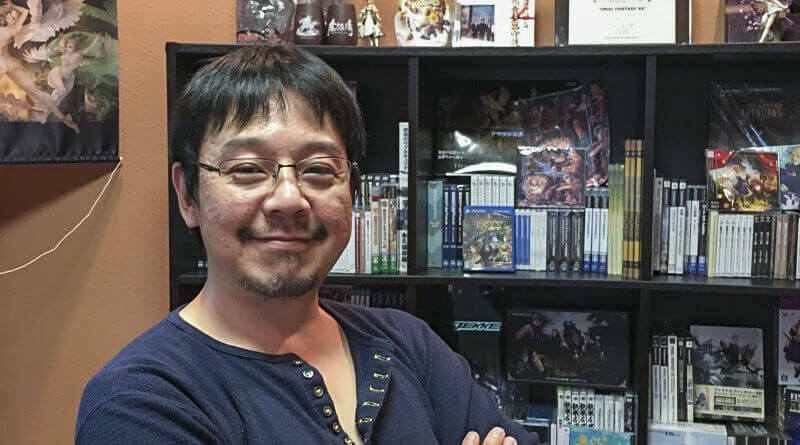 Eventually, Yasumi Matsuno, a video game designer/director known for turn-based tactical games like Ogre Battle: March of the Black Queen, Final Fantasy Tactics, Final Fantasy XII, and more, recruited Sakimoto as a collaborator. As those games wrote their success stories, more gamers noticed the compositions and the musical style that were distinctly Sakimoto’s. In 2002, Hitoshi Sakimoto created his own company, Basiscape, with Masaharu Iwata. He has not stopped working since then. Sakimoto wrote the soundtracks for games such as: GrimGrimoire, Odin Sphere, Valkyria Chronicles, Muramasa: The Demon Blade, and many more. Currently, I am waiting for Unsung Story: Tale of the Guardians to be released. Just as with many other fans, I was excited to read Sakimoto is working as the composer when the Kickstarter news reached me. Thanks to some of his claim to fame video games, Sakimoto is often associated with fantasy genre settings. However, he has scored for games with sci-fantasy or sci-fi genres. Revolter, the game I mentioned above, is a sci-fi theme vertical shooter game. 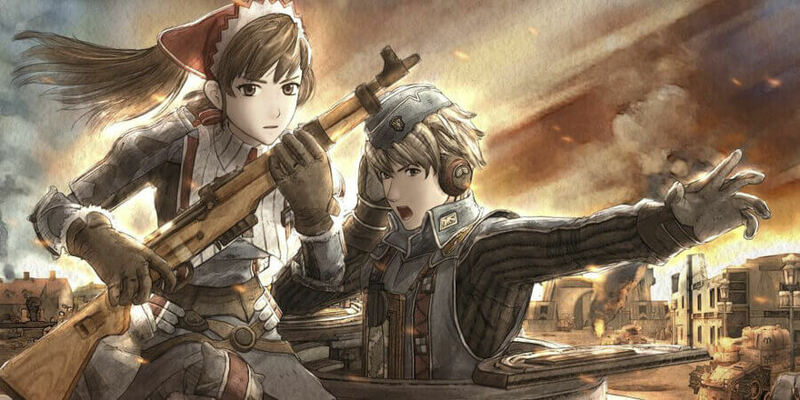 The Valkyria Chronicles series is a fantasy war/military game based on the setting of the World War II era. There are a couple others below that I will introduce to you. In a Reddit AMA, Hitoshi Sakimoto expressed that he would love to work on more sci-fi creations. Aside from the obvious use of electronic orchestral instruments, Sakimoto has his own distinct sound style. Some words that I use to describe his compositions are: layered, atmospheric, emotional, militaristic, and wondrous. With the many instruments forming the basis of a song, he often allows several of them to form the main melodies one after another. For example, the song may start with a violin and a harp but later the violin will be serenading the main tunes while the harp becomes the harmony. Later, the harp will perform the chorus while the violin, cello, and percussion form the accompaniment. Perhaps later, the violin returns with trumpets in the bridge section while the violin, cello, and percussion recede to the back. He is fond of making three or more distinct instruments play at the same time, creating a harmonious and complex combination of sound. He is a master at creating songs that feel grandiose and heroic. Yet, when the game needs it, his songs can be quiet, calming, and contemplative. That may be why Sakimoto’s music is often perfect for a fantasy setting. There is no doubt he is adept at creating tracks that serve wonderfully as video game background music; ones that enhance the game mood while not attracting unnecessary attention to themselves. In an interview with a Singapore-based game company, XII Braves, Sakimoto said he is often approached to create “Hitoshi Sakimoto’s soundtrack.” It is a testament to how recognizable his style is. On the other hand, I imagine being style-casted could feel very limiting too. Sometimes, I wonder if he feels similarly. Anyway, I will start this round of selection with his more famous works before introducing others that you may not expect. As a big fan of Final Fantasy Tactics, I have to start my selection from this game. “Hero’s Theme” is very appropriate for Ramza, our protagonist. His tale of heroism is shadowed by his rival and best friend Delita for generations after the game. Though branded as a heretic, a rebel, and a second-rate nobleman, Ramza fights for his justice in a corrupted world. Not many know his deeds save for the narrator of the game, Arazlam Durai, who finally uncovers the true story. Ramza leaves the world for the better one after sacrificing many things. A tragic ending just like the song. Or is it? 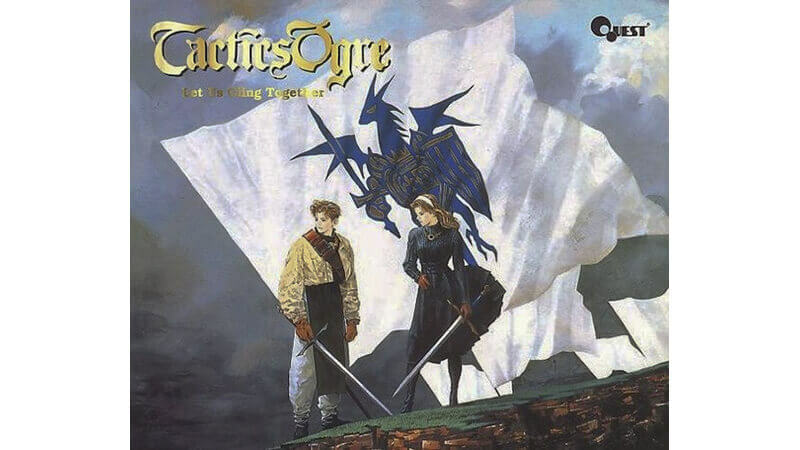 I’ve loved the Tactics Ogre series ever since I completed Final Fantasy Tactics. The gameplay, at large, feels similar but with a different depth and branching storylines. The fact that the Sakimoto created the soundtrack is icing on the cake for me. I do not think there is any other more recognizable song than Let Us Cling Together as the opening or Overture. The version above originated from the Super Famicom (the Japanese version of Super NES). If you look for the PSP port, Sakimoto has remastered the entire soundtrack with better instruments and sound quality. The song is grand, contemplative, welcoming, and at the end, it waits for you to do something—play the game and save the kingdom of Valeria. The Valkyria Chronicles is a beloved game series. The first game garnered great reviews and has been adapted into an anime series, a manga collection, and drama CDs. The song above sounds a lot like a composition by John Williams mashed with Suikoden 2’s Miki Higashino. What did I say about Sakimoto’s songs being very militaristic? His scores fit Valkyria Chronicles’ themes like a match made in heaven. Has anyone played Vagrant Story? I missed out on it when it came out but I have read some great things about it. “Grotesque Person” sounds like an amalgamation of songs from Valkyria Chronicles, Final Fantasy Tactics, and Radiant Silvergun (which I will mention below). Though it is a short song, it gains momentum fast, perfect for last boss battle music. Its melody is somewhat chaotic, the choir is haunting, the violin is sharp, and the percussion is heart-racing. I immediately notice how much faster the tempo is compared to the songs from Final Fantasy Tactics that came out three years before. It is an interesting contrast for me. Yes, Sakimoto has scored for an anime series. Romeo X Juliet is loosely based on the classic Shakespeare play with added fantasy elements. Sakimoto employed the Eminence Symphony Orchestra from Australia to perform his compositions. As a result, the song above carries a very different soundscape while retaining the feel of Sakimoto’s melody. If you continue listening to the rest of the soundtrack, you will find a different “life” to the songs thanks to the amazing orchestra troupe. I highly recommend it. On top of Romeo X Juliet, Hitoshi Sakimoto also composed for other anime series such as The Tower of Druaga series and Chaos Dragon. Above is another rather unusual composition from Sakimoto. This song appears in the final boss battle of Radiant Silvergun, a bullet-hell vertical shooter game that came out for the Sega Saturn in 1998. “The Stone-Like” uses an electronic choir almost exclusively as the main “instrument,” creating a very atmospheric and haunting feel to the battle. It is one of the science-fiction/fantasy games that the composer has worked on in the past. Magical Chase is a scrolling shooter game for the PC Engine and TurboGrafx-16 console. The game features a young flying witch who is accompanied by two stars. The setting is colorful and cartoony, taking inspiration from mahou shoujo (magical girls) shows. Sakimoto worked on the game with Masaharu Iwata. The soundtrack does not sound like any of the usual Hitoshi Sakimoto flavors. It is a lot more upbeat and cheery, befitting the art direction. This makes me wonder if he is capable of creating a similar composition now. I did not expect Sakimoto to be composing for the CG Tekken: Blood Vengeance movie. I did not watch the movie because it is not available near me. He worked on the soundtrack with his fellow composers from Basiscape. Most of the songs on the album have Sakimoto’s signature feel. His fans would be able to guess almost immediately. However, this song seems rather different from his usual style. I could only guess that this song may be a collaboration with another composer or a deliberate attempt to create a distinct sound. Something feels different at the peak (middle) of the song—perhaps the melody and instruments—that does not sound like Sakimoto’s usual fare. There are other songs in the OST that feels a lot more Tekken than others. Particularly those using heavy rock and electronic sounds. Above are only a spoonful of the numerous scores Hitoshi Sakimoto has composed. There are so many more great compositions in his portfolio that you just have to explore it on your own. I hope my introduction has provided a good start for you. References: YouTube (interview with XII Braves), Reddit AMA, VGM Online, and Wikipedia.